The small farm belies its big ambition: to help improve the city's food security. SINGAPORE, Jan 8 (Thomson Reuters Foundation) — Visitors to Singapore's Orchard Road, the city's main shopping belt, will find fancy malls, trendy department stores, abundant food courts — and a small farm. Comcrop's 600-square-metre (6,450-square-foot) farm on the roof of one of the malls uses vertical racks and hydroponics to grow leafy greens and herbs such as basil and peppermint that it sells to nearby bars, restaurants, and stores. Comcrop's Allan Lim, who set up the rooftop farm five years ago, recently opened a 4,000-square-metre farm with a greenhouse on the edge of the city. He believes high-tech urban farms are the way ahead for the city, where more land cannot be cultivated. "Agriculture is not seen as a key sector in Singapore. But we import most of our food, so we are very vulnerable to sudden disruptions in supply," Lim said. "Land, natural resources and low-cost labour used to be the predominant way that countries achieved food security. But we can use technology to solve any deficiencies," he said. Singapore last year topped the Economist Intelligence Unit's (EIU) Global Food Security Index of 113 countries for the first time, scoring high on measures such as affordability, availability, and safety. Yet, as the country imports more than 90% of its food, its food security is susceptible to climate change and natural resource risks, the EIU noted. With some 5.6 million people in an area three-fifths the size of New York City — and with the population estimated to grow to 6.9 million by 2030 — land is at a premium in Singapore. The country has long reclaimed land from the sea, and plans to move more of its transport, utilities, and storage underground to free up space for housing, offices, and greenery. Agriculture makes up only about 1% of its land area, so better use of space is key, said Samina Raja, a professor of urban and regional planning at the University at Buffalo in New York. "Urban agriculture is increasingly being recognised as a legitimate land use in cities," she said. "It offers a multitude of benefits, from increased food security and improved nutrition to greening of spaces. But food is seldom a part of urban planning." Countries across the world are battling the worsening impacts of climate change, water scarcity, and population growth to find better ways to feed their people. Scientists are working on innovations from gene editing of crops and lab-grown meat, to robots and drones to fundamentally change how food is grown, distributed and eaten. With more than two-thirds of the world's population forecast to live in cities by 2050, urban agriculture is critical, a study published last year stated. Urban agriculture currently produces as much as 180 million metric tonnes of food a year — up to 10% of the global output of pulses and vegetables, the study noted. Additional benefits, such as reduction of the urban heat-island effect, avoided stormwater runoff, nitrogen fixation and energy savings could be worth $160 billion annually, it said. Countries including China, India, Brazil, and Indonesia could benefit significantly from urban agriculture, it said. "Urban agriculture should not be expected to eliminate food insecurity, but that should not be the only metric," said study co-author Matei Georgescu, a professor of urban planning at Arizona State University. "It can build social cohesion among residents, improve economic prospects for growers, and have nutritional benefits. In addition, greening cities can help to transition away from traditional concrete jungles," he said. Singapore was once an agrarian economy that produced nearly all its own food: there were pig farms and durian orchards, and vegetable gardens and chickens in the kampongs, or villages. But in its push for rapid economic growth after independence in 1965, industrialisation took precedence, and most farms were phased out, said Kenny Eng, president of the Kranji Countryside Association, which represents local farmers. The global food crisis of 2007-08, when prices spiked, causing widespread economic instability and social unrest, may have led the government to rethink its food security strategy to guard against such shocks, Eng said. "In an age of climate uncertainty and rapid urbanisation, there are merits to protecting indigenous agriculture and farmers' livelihoods," he said. Local production is a core component of the food security roadmap, according to the Agri-Food and Veterinary Authority (AVA) of Singapore, a state agency that helps farmers upgrade with technical know-how, research and overseas study tours. Given its land constraints, AVA has also been looking to unlock more spaces, including underutilised or alternative spaces, and harness technological innovations to "grow more with less", a spokeswoman said by email. A visit to the Kranji countryside, just a 45-minute drive from the city's bustling downtown, and where dozens of farms are located, offers a view of the old and the new. Livestock farms and organic vegetable plots sit alongside vertical farms and climate-controlled greenhouses. Yet many long-time farmers are fearful of the future, as the government pushes for upgrades and plans to relocate more than 60 farms by 2021 to return land to the military. Many farms might be forced to shut down, said Chelsea Wan, a second-generation farmer who runs Jurong Frog Farm. 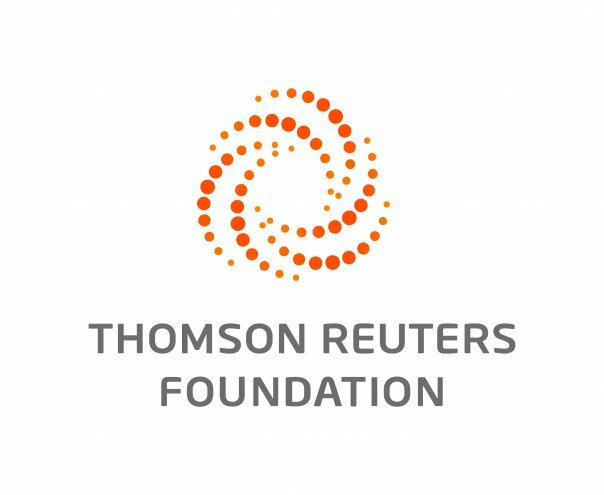 "It's getting tougher because leases are shorter, it's harder to hire workers, and it's expensive to invest in new technologies," she told the Thomson Reuters Foundation. "We support the government's effort to increase productivity through technology, but we feel sidelined," she said. Wan is a member of the Kranji Countryside Association, which has tried to spur local interest in farming by welcoming farmers' markets, study tours, homestays and weddings. Small peri-urban farms at the edge of the city — like those in Kranji — are not just necessary for food security, Eng said. "The countryside is an inalienable part of our heritage and nation-building, and the farms have an intrinsic value for education, conservation, the community and tourism," he said. At the rooftop farm on Orchard Road, Lim looks on as brisk, elderly Singaporeans — whom he has hired to get around the worker shortage — harvest, sort and pack the day's output. "It's not a competition between urban farms and landed farms; it's a question of relevance," he said. "You have to ask: what works best in a city like Singapore?"